Office technology continues to become ever more powerful, versatile, and efficient, including display technology, which has made incredible strides in performance, functionality, agility, precision, and color. Dell is at the forefront of this rapid evolution of monitors with a wide range of sizes, features and price points, including the Optiplex 7050 with Intel® Core™ processors. 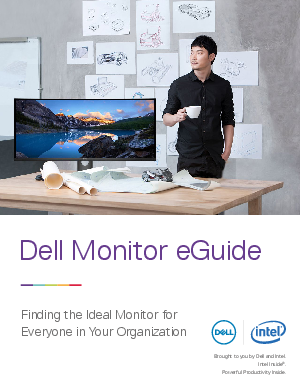 Access the eGuide from Dell and Intel® to learn more.